Two groups and coaches same routine pass, skate, receive, pivot, pass, skate behind coach then line up in opposite group. Each group pivots facing the middle of the rink. Accurate passing and quick skating are important to prevent collisions and lost pucks. 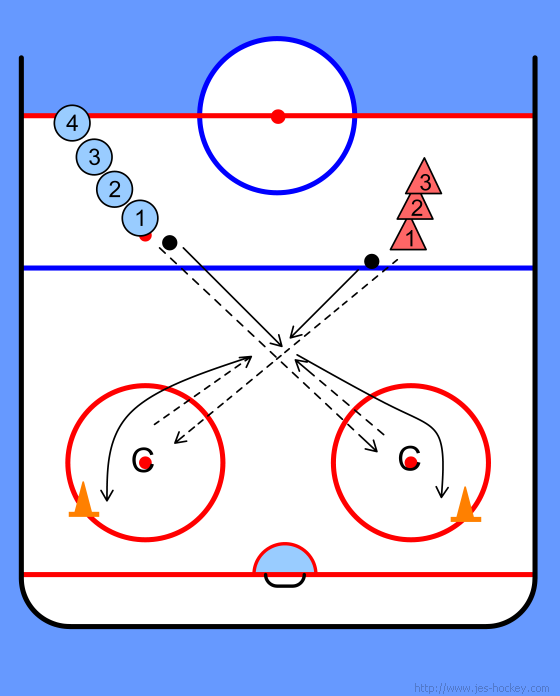 Player pivots to backwards and passes to second player then skates behind coach. Player joins the other group.